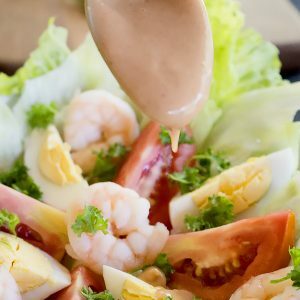 Shrimp Louie Salad is a delicious lunch salad with shrimps and a creamy tasty dressing, similar to thousand island dressing. I am addicted to this salad! Most probably you must have noticed over the years that I am a huge shrimp lover, to my sister’s dismay. She is not a shrimp fan, however, this never stopped us at home to prepare delicious salads with shrimp. My mum came across this salad ages ago in a French TV magazine. They called it a California sunshine shrimp Louie salad dressing. Since then we have been preparing this fresh salad with the creamy mayonnaise-based dressing during the hotter months of the day. What is Shrimp Louie Salad? Shrimp Louie Salad was made popular in California in the early 1900s (according to the wiki). 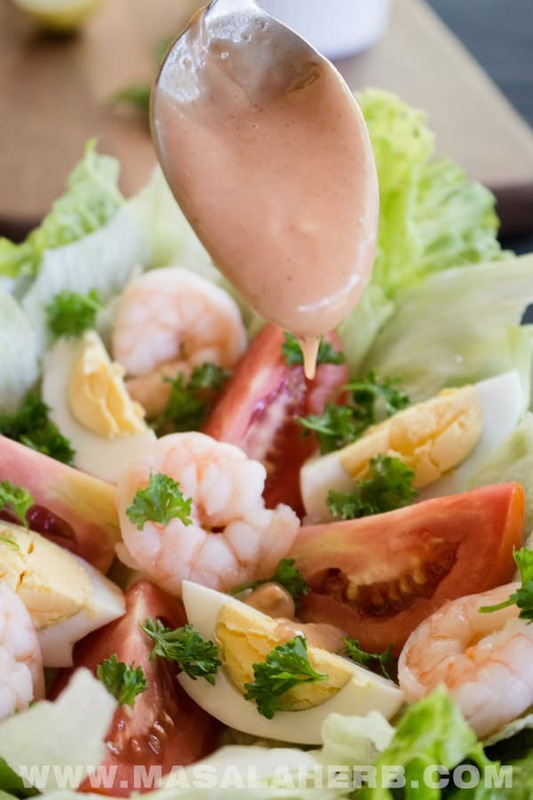 Shrimp Louie dressing is the main star of this salad together with the fresh ingredients, cooked shrimp and boiled egg. 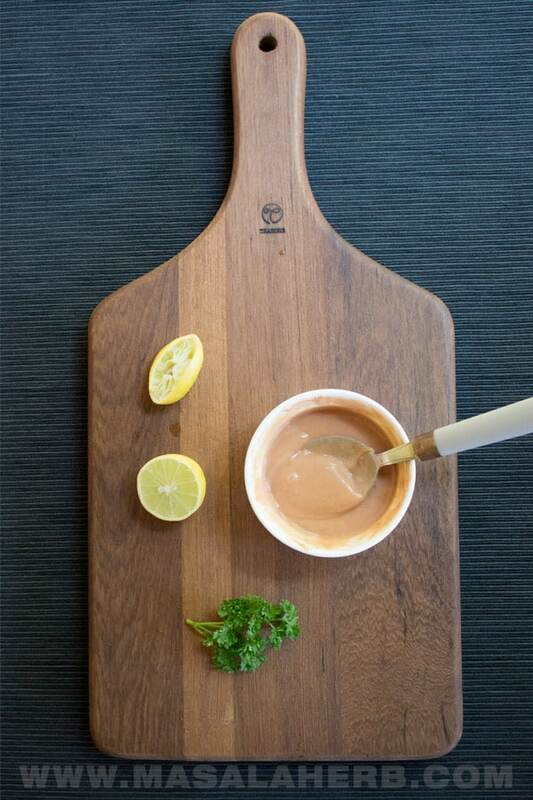 The Louie Dressing comes close to a Thousand Island Dressing, which is a creamy dressing prepared with mayonnaise, tomato ketchup and lemon juice and Worcestershire sauce as main ingredients. The difference between shrimp Louie and thousand island dressing is subtle at first but the flavors define each dressings character. The main difference is that a thousand island dressing includes chopped ingredients such as garlic, chives, chilies, hard boiled egg, pickles, parsley and other ingredients. The Shrimp Louie dressing is more practical. For example, you can add onion powder and the hard-boiled eggs are part of the salad as quarters and not cut small as it is the case in some thousand island dressing salads. Which makes the shrimp Louie a perfect dressing for those busy days! To make shrimp Louie salad and the dressing from scratch is easy and won’t take you more than 10 minutes. You just need to keep the fresh salad ingredients washed and ready including the hard-boiled egg and poached or boiled shrimp. For the fresh ingredients just trim into bite-sized pieces or cut into quarters. Keep all the salad ingredients together in a bowl mixed or placed nicely together. For the Louie dressing just mix all the ingredients together. I like to use a dressing shaker to mix the salad dressing. So, when you are ready to enjoy your salad for lunch, pour the dressing over the salad ingredients and enjoy. The salad consists of a green salad variety such as Romain salad, lettuce or iceberg. Use whichever is in season and more common in your part of the world. I like to use a combination of two at times. Other ingredients included to prepare your shrimp Louie salad are fresh tomato, hard boiled egg, boiled/poached shrimp, and parsley. For the Louie dressing, you will need Mayonnaise, Ketchup, Worcestershire Sauce, salt, black pepper, chili sauce and onion powder. It comes together realy easy with common ingredients from your pantry. I like to use tabasco but you could also use a thicker and less vinegar intense sauce such as a Sriracha sauce. Eventually, I always sprinkle some lime juice over my Shrimp Louie Salad. It gives a fresh touch to the salad. How to serve and enjoy Shrimp Louie Salad? 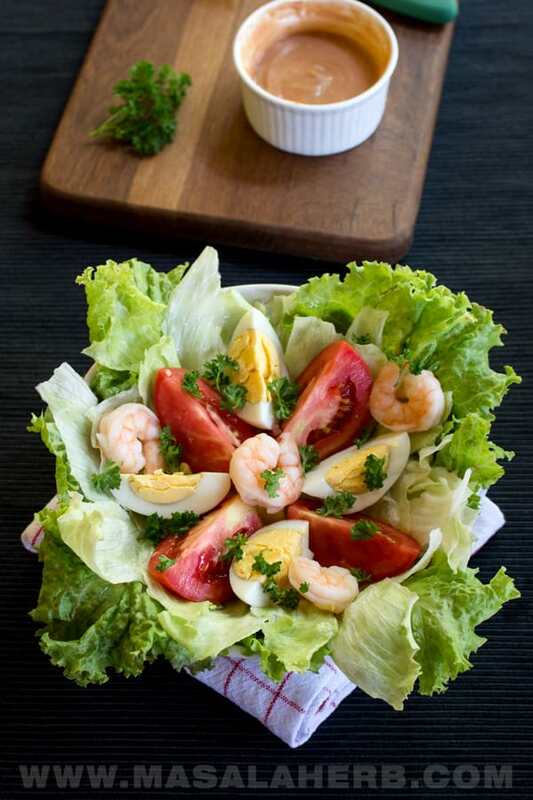 The Shrimp Louie Salad makes a great stand-alone salad which is also filling due to the added proteins such as the boiled shrimp and hard-boiled egg. Therefore, you can enjoy the shrimp salad as a lunch meal at home or you can take it to work or school! Therefore, you can include the shrimp Louie into your meal prepping menu for the week as it’s a quickly prepared salad from scratch. Just make sure to only pour the shrimp salad dressing over the salad once you are about to dig in for lunch. This is a great BBQ summertime salad or a potluck type of salad. We used to go for camping during the summer days to the lake in France and we would prepare this shrimp Louie salad too. As you can see there are no limits in finding a great delicious time to enjoy the salad! Shrimp Louie salad and dressing are a great way to pep up your daily lunch. Filling and satisfying, this fresh Louie salad will give you the energy you need to tackle the rest of the day. Make s a great meal prep dish to take away to work or school. For the Salad, boil an egg hard and <g class="gr_ gr_189 gr-alert gr_gramm gr_inline_cards gr_run_anim Grammar only-ins doubleReplace replaceWithoutSep" id="189" data-gr-id="189">quarter</g> once boiled. Boil or poach the shrimp in some water until cooked. Keep aside. Wash the green salad ingredients, tomato, and parsley. Prepare the green salad into bite-sized pieces. Quarter your tomato and chop your parsley. Keep the lettuce and tomato together in one salad bowl. Keep the parsley separate as you will be using that to garnish the salad after having poured the dressing over the salad. For the salad to come together further add the cooked cooled quartered egg and the cooked cooled shrimp to the fresh salad ingredients. You can mix it all or place it nicely into an on-the-go salad container. For the Dressing place all the dressing ingredients into a salad shaker and mix it well. Pour the salad dressing over the ingredients just before you intend to eat the salad and garnish with the freshly chopped parsley and some lime juice. Use a lettuce variety which is in season or which is more common in your part of the world. 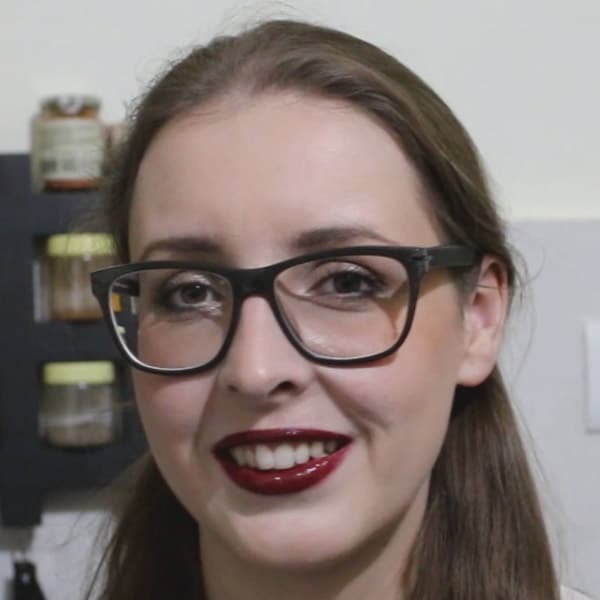 You can use a mixture of two such as I did in the pictures. I use plain lettuce and iceberg salad to add a crunch. For the dressing, you can pick a chili sauce such as a vinegar-based Tabasco sauce or a thicker sriracha chili sauce. Decide how much heat you want and add accordingly. Use a Salad shaker to mix the ingredients for the dressing. Use a salad leave spinner to get rid of excess water on your salad. Dear Reader, Do you Meal Prep your lunch? Please, feel free to share with us your thoughts and ideas further below in the comment section! I made a crab louie salad last week so I’m thrilled to see your shrimp version. I can’t always find crab, so making it with shrimp is a fabulous idea. Looks great! Thanks! This salad looks like a great light lunch option! Love this as a stand-alone pescatarian dish! So flavorful and easy to make! Helene, it’s very delicious! This salad has EVERYTHING I love. Love this sauce! What is black pepper powder???? Black Pepper Powder is Black Peppercorns turned into a powder. You can use just crushed black pepper too. Hi, this may be interesting you: Shrimp Louie Salad Recipe!